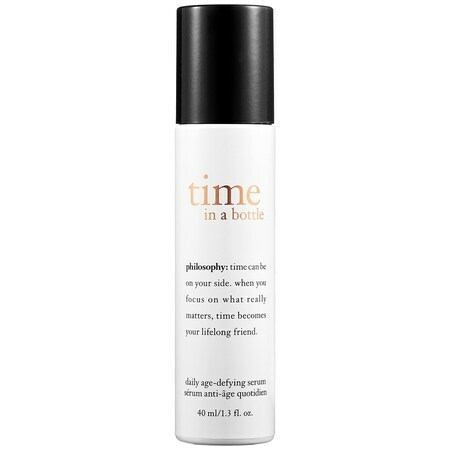 I wish I could describe Philosophy’s Time in a Bottle on its own, but it is easier to compare it to what already exists. To me, Time in a Bottle has the same effect on my skin as Murad’s Advanced Active Radiance Serum. I observed no difference between the two, except that Time in a Bottle serum is light pink. They both soften, smooth, plump, and make the skin radiant due to vitamin C in both products. Both work just as fast. The price is where Time in a Bottle stands apart. It is approximately 17% cheaper and contains 23% more product than Murad’s serum. Therefore, I would pick Philosophy’s as it is a better deal.